FOIA request shows that the CIA still redacts what it paid for Commodore Amigas in 1987. 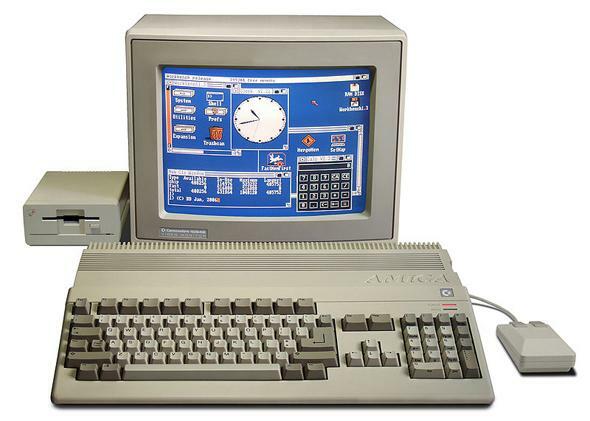 In 1987 the Amiga 500 cost $699, and the Amiga 2000 cost $2,395. I’m letting you in on these confidential CIA secrets because I trust you, but you’re not supposed to know. Former CIA employee Jeffrey Scudder made a Freedom of Information Act request four years ago in an attempt to surface problems within the intelligence agency. Earlier this month the CIA finally released hundreds of relevant documents—including a paper with titled “NPIC, Amiga, and Videotape.” It’s about a CIA multimedia division called the National Photographic Interpretation Center (now part of the National Geospatial-Intelligence Agency), which was using PCs from Amiga to expand its capabilities in the late 1980s. But a strange aspect of the paper, the secrecy policy blog Secrecy News points out, is this bizarre redaction. The paper says, “We bought our first Commodore Amiga in 1987 for less than [price redacted] including software.” Wait, how much was that again? But since information about the cost of the computer at that time is publicly available, it seems strange that it would need to be redacted. Based on conversations with the CIA about related topics, though, Secrecy News theorizes that the CIA doesn’t want to disclose exactly how much it was willing to expend, even if the retail price of the machines is known. And the redaction seems to be consistent with a broader goal to redact all expenditures. As Secrecy points out, though, this blanket policy could lead to unnecessary withholding of information that should be public. Maybe the CIA just got a criminally good deal on the computers.